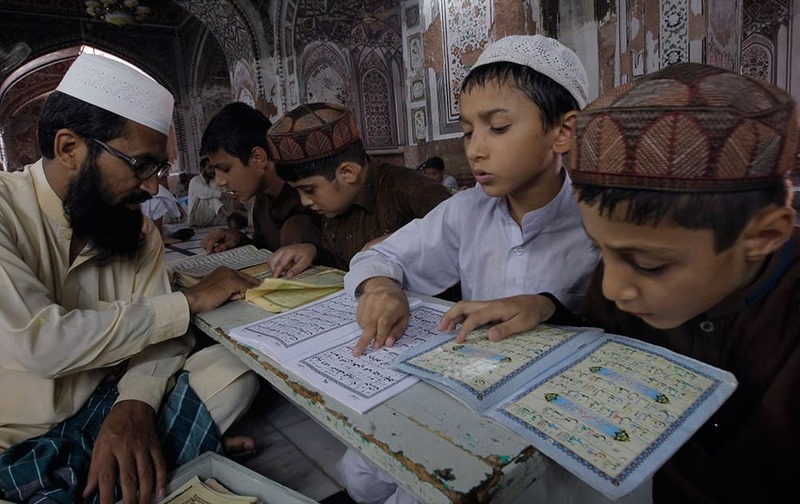 Pakistani children learn to read the Quran at a mosque during the month of Ramadan in Peshawar, Pakistan. 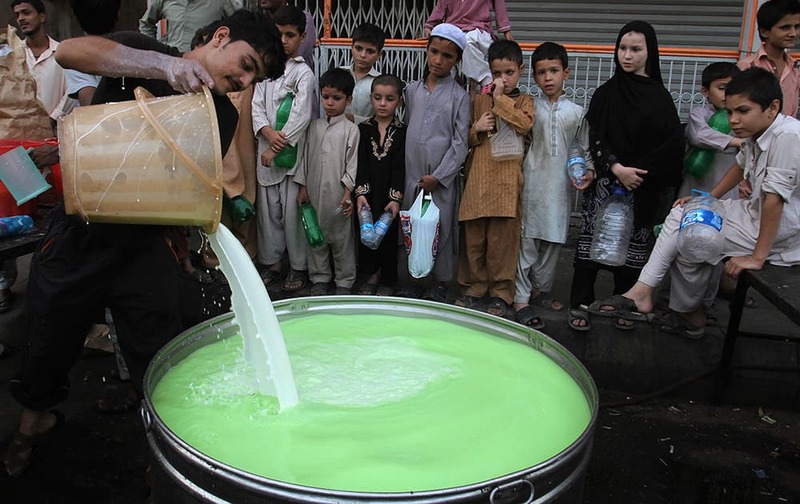 Pakistani children wait to receive milk mixed with fruit juice to break the day's fast that many Muslims practice during the month of Ramadan in Karachi, Pakistan. 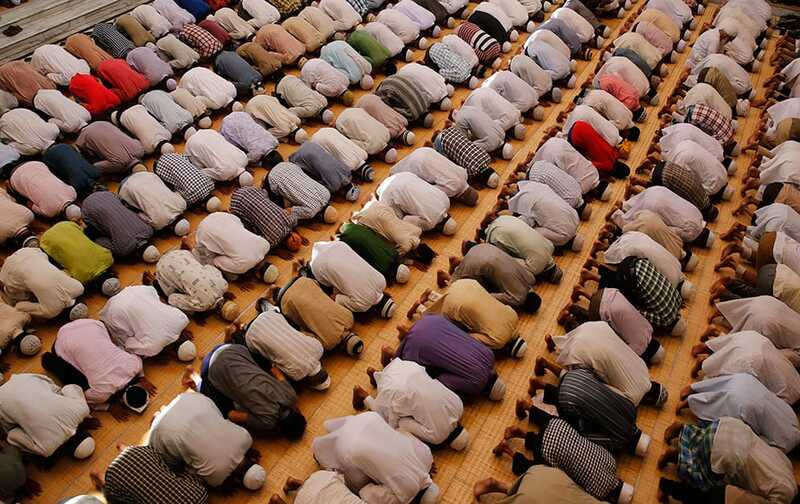 Muslims offer prayers during Ramadan at the Vasi Ullah mosque in Allahabad. 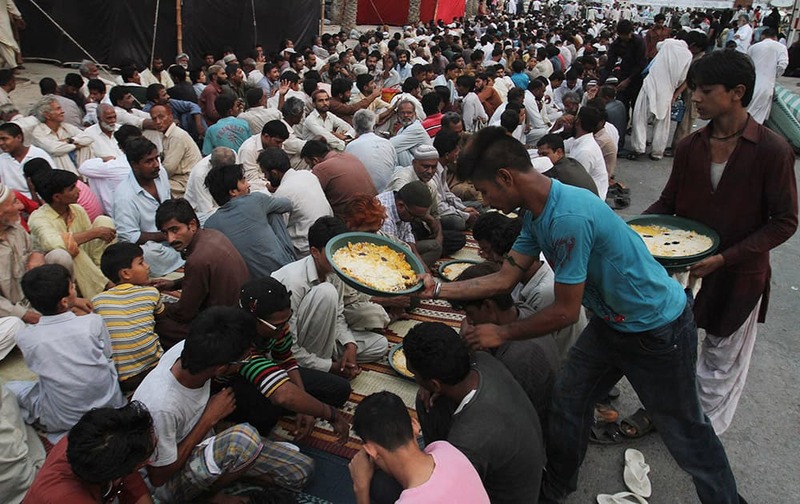 Pakistani volunteers give food to devotees to break the day's fast, which many Muslims practice during the month of Ramadan, in Karachi, Pakistan. 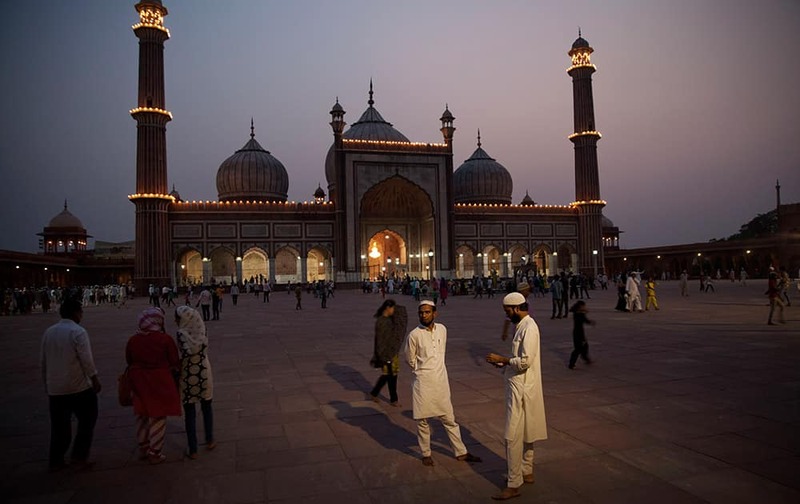 A Jama Mosque employee walks with a child to announce the breaking of fast as others wait in New Delhi. 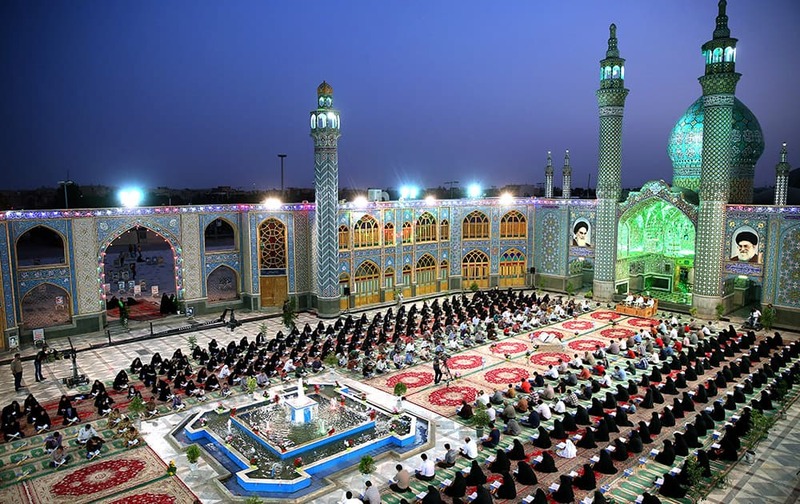 Muslims throughout the world are marking the month of Ramadan, the holiest month in Islamic calendar during which devotees fast from dawn till dusk. 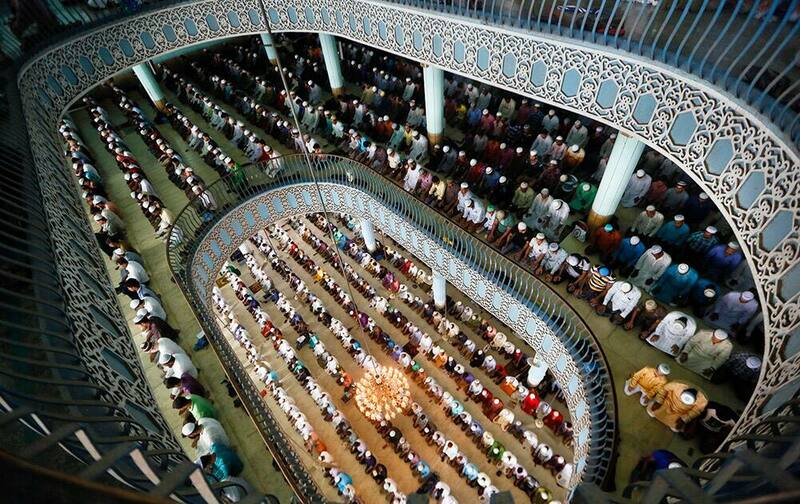 Bangladeshi Muslims attend Friday prayers at Baitul Mukaram national mosque during the Islamic holy month of Ramadan in Dhaka, Bangladesh. 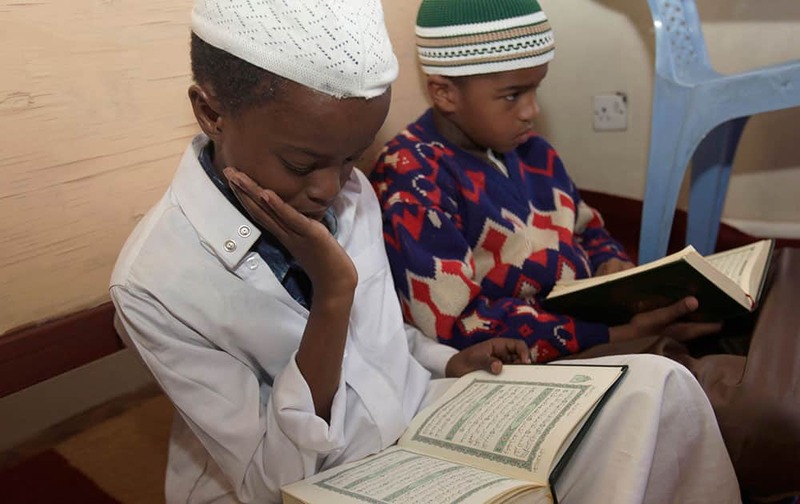 Kenyan Muslim children read verses of Quran, on the 11th day of the Muslim holy month of Ramadan at a Madrassa, in Nairobi, Kenya. 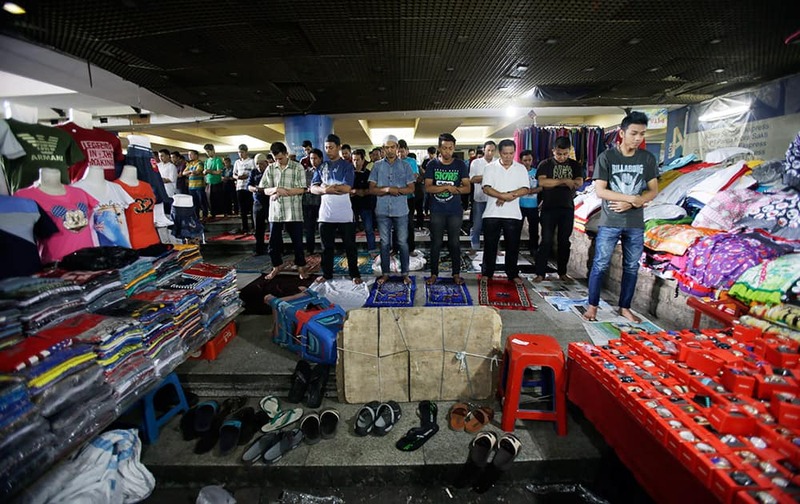 Indonesian Muslim men pray during Friday prayer at a market in Jakarta, Indonesia. 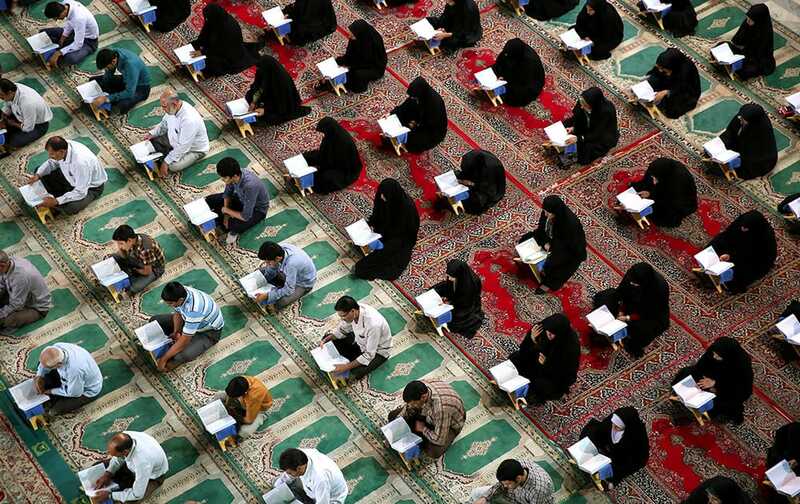 Iranian worshipers recite verses of the Quran, Islam's holy book, during the Muslim holy fasting month of Ramadan at the shrine of Saint Mohammad Helal Ibn Ali in the city of Aran and Bidgol, some 140 miles (225 kilometers) south of the capital Tehran, Iran. 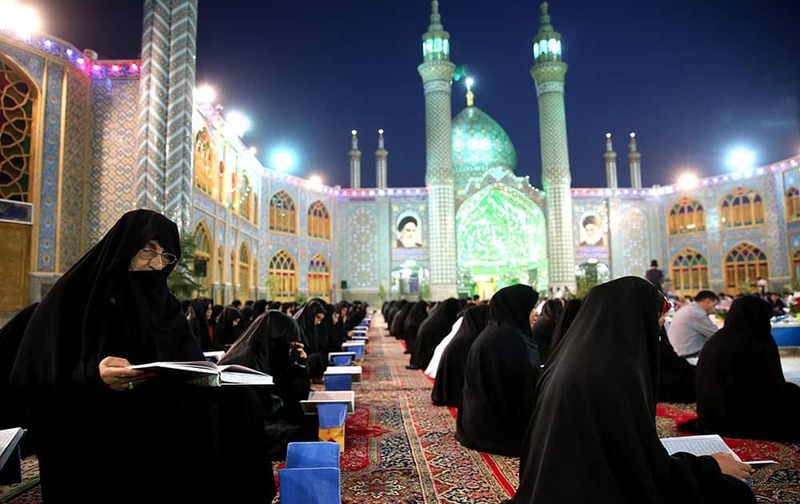 Iranian worshipers recite verses of the Quran, Islam's holy book, during the Muslim holy fasting month of Ramadan, at the shrine of Saint Mohammad Helal Ibn Ali, in the city of Aran and Bidgol, some 140 miles (225 kilometers) south of the capital Tehran, Iran. 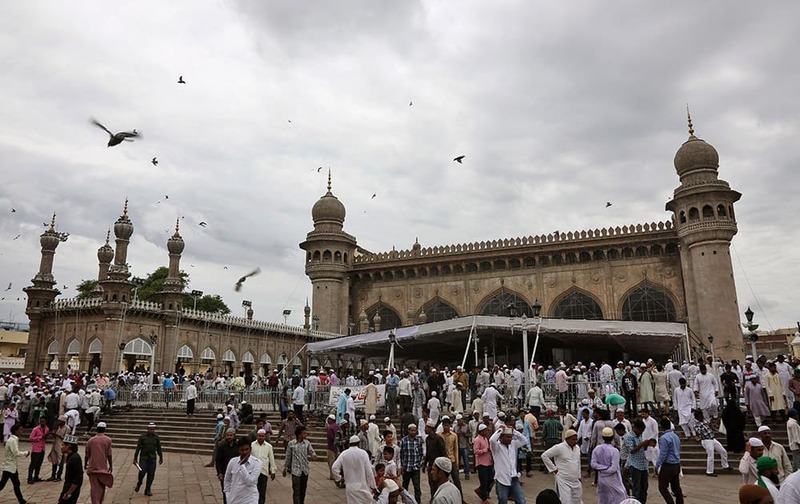 Muslims leave Mecca Mosque after the Friday prayers during the holy Islamic month of Ramadan in Hyderabad. 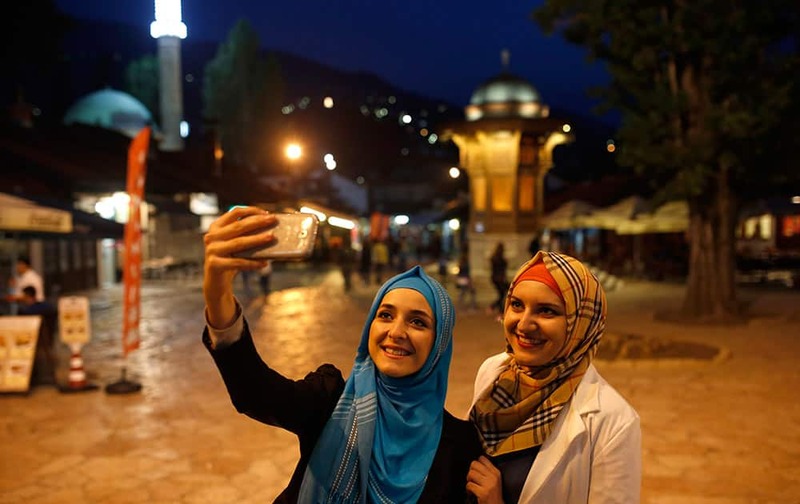 Bosnian Muslim girls walk in the old part of Sarajevo on the first day of the fasting month of Ramadan, in Sarajevo, Bosnia. Muslims leave Wilayah Mosque after the Friday prayer during the holy Islamic month of Ramadan in Kuala Lumpur, Malaysia. 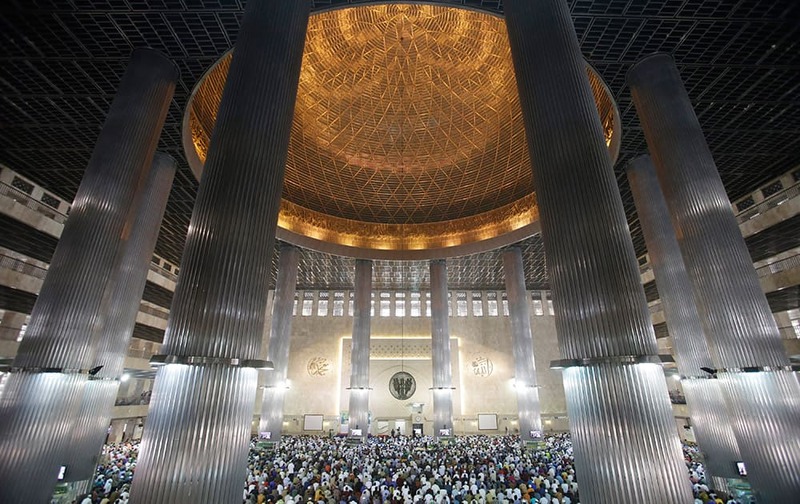 Indonesian Muslim men gather during the first Friday pray of the fasting month of Ramadan at Istiqlal Mosque in Jakarta, Indonesia. 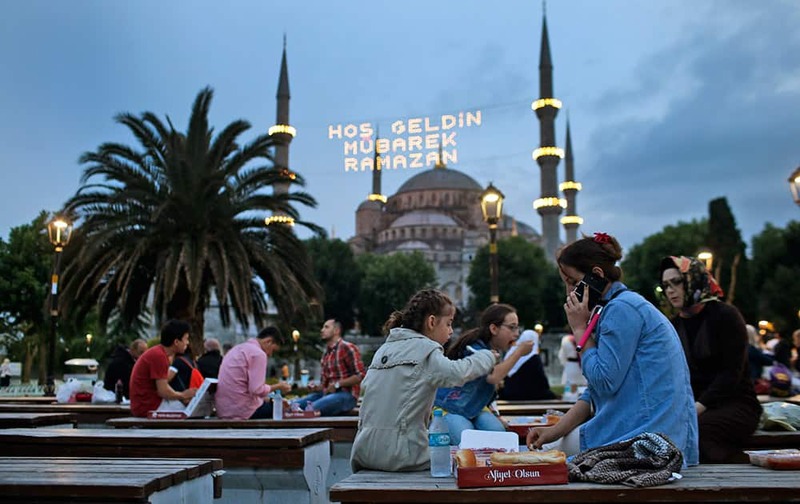 People break their fast backdroped by the the iconic Sultan Ahmed Mosque, better known as the Blue Mosque, decorated with lights marking the month of Ramadan, in the historic Sultanahmet district of Istanbul, Turkey. 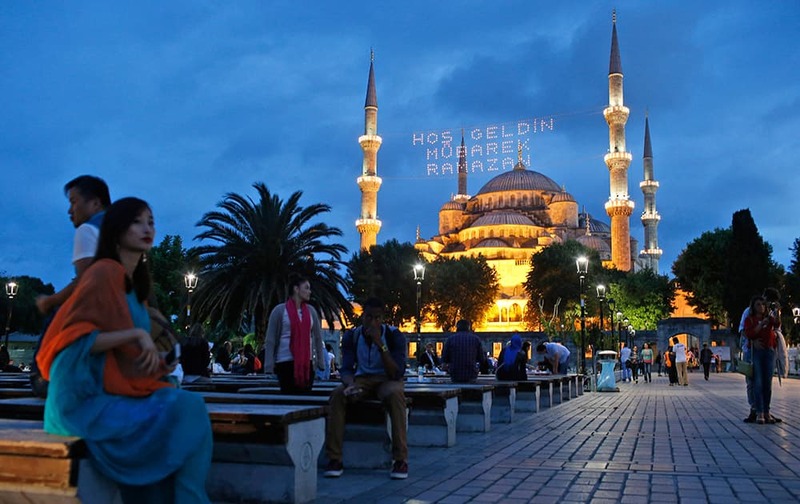 People gather backdroped by the the iconic Sultan Ahmed Mosque, better known as the Blue Mosque, decorated with lights marking the month of Ramadan, in the historic Sultanahmet district of Istanbul, Turkey. 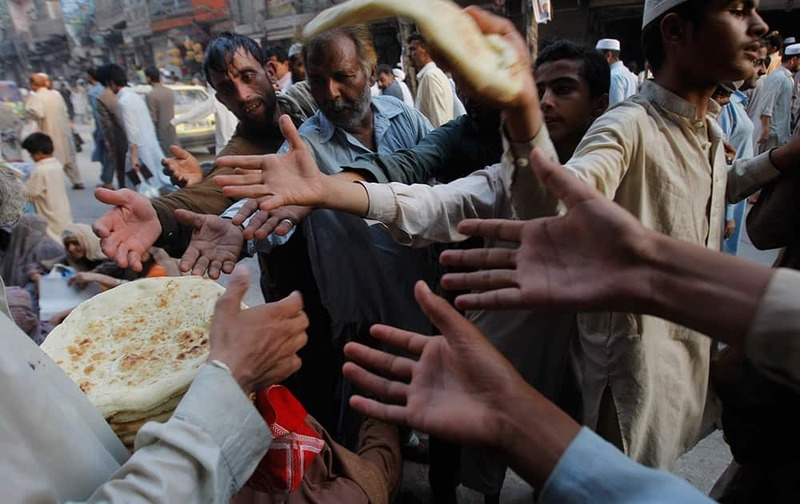 A Pakistani man distributes bread to poor people during a month of Ramadan in Peshawar, Pakistan. 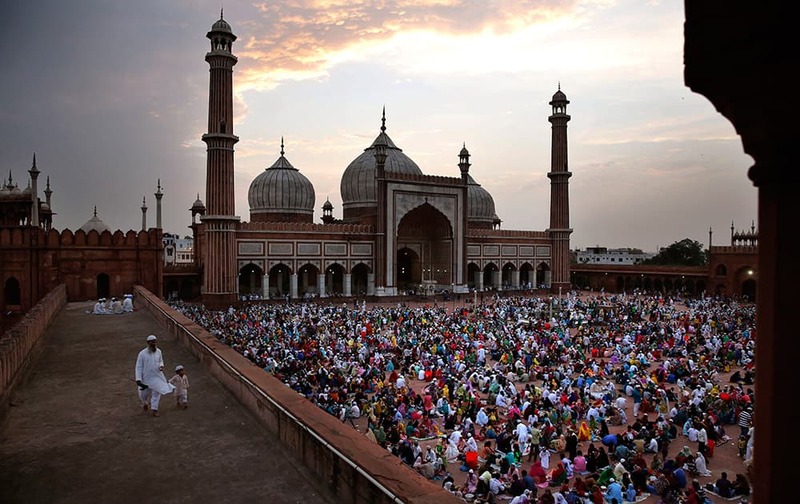 Muslims stand inside the premises of Jama Masjid on the eve of Ramadan in New Delhi.